July 02, 2008 in "STREET TREES"
A few thoughts on the third most populous street tree in NYC. Did you know that Martha Stewart is a great fan (hope you appreciate the pun, considering the shape of it's leaf) of this tree. Amusing article from the New Yorker on the female of the species. Even NYBG incorrectly purchased and planted the females along the approach road to one of their parking lots! Luckily for them, there are some families of Chinese heritage that sneak in to the garden and "take" the fruit home to cook in soups --- true story told to me my Michael Ruggierio, former curator of the garden! 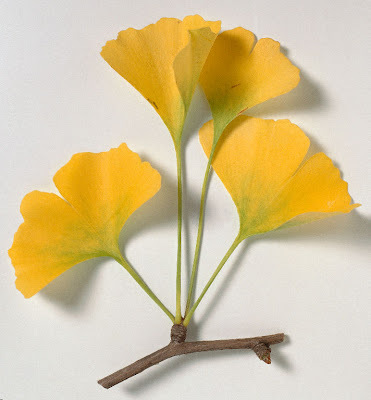 There's a joke about buying ginkgo biloba herbal supplements to increase memory, but it doesn't work because the patient keeps forgetting to take them.